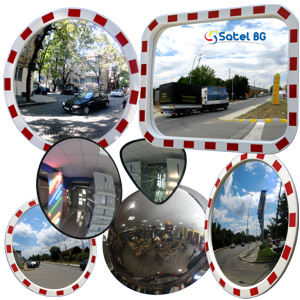 We produce high-quality convex mirrors - observation, traffic, security, overview, dome, in various shapes and sizes to meet all our clients’ needs. 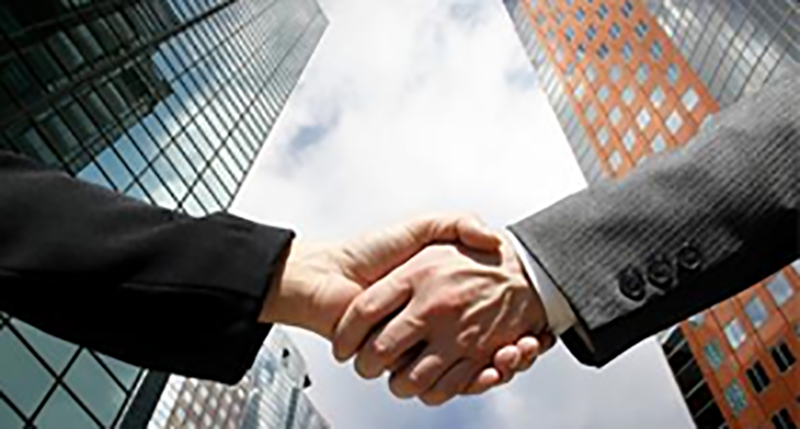 Since 1995 we have gained extensive experience in high-tech vacuum coating and the thermoforming of plastics. This gives us the confidence to offer our customers convex mirrors with time-tested quality. 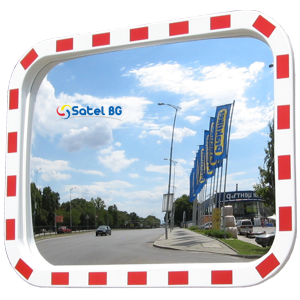 High-tech automated equipment, quality materials, advanced technology, an optimised production process, qualified staff - the result is SATEL convex mirrors with top quality at lowest price. 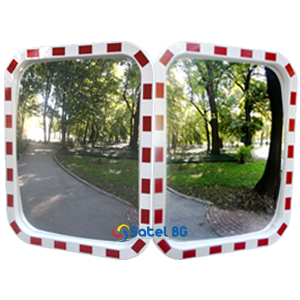 Produced from high-quality UV-stabilised materials, with a mirror layer laid in high vacuum, of 99.9% aluminum and equipped with corrosion-resistant mounting, SATEL convex mirrors have 5 years warranty. Looking for something different? At the client’s request we can produce convex mirrors of sizes, shapes and radii of convexity different from our standard products. Trying to be maximum environmentally friendly, we apply mirror coating in a high vacuum, and in order to protect the mirrors we use only water-soluble paints and varnishes. The radius of convexity is controlled by laser – optic sensors, eliminating the possibility of image distortion and ensuring the stability of the production process. 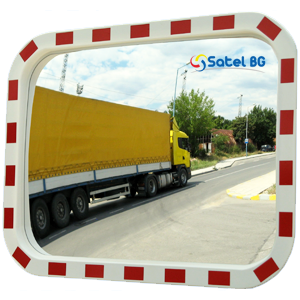 We produce SATEL traffic mirror housings using impact resistant polystyrene, which is UV-stabilised too. The reflector layer of the mirrors is laid by means of high vacuum evaporation of 99.9% aluminum. The thin-film technology and high-quality materials used, as well as the high technology vacuum equipment, ensure the excellent optical quality and durability of SATEL mirrors. Striving to be as environmentally friendly as possible, we use only water-soluble paints and varnishes to protect SATEL mirrors. The fixtures, providing quick and easy installation and adjustment in all directions, are included in the set. At the client’s request, we can produce mirrors with shapes, sises and radii of the bulge different from our standard products. 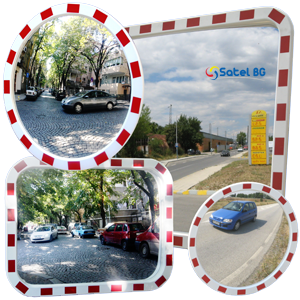 Satel BG was founded in late 1995 with the production of mirrors and reflective glass. 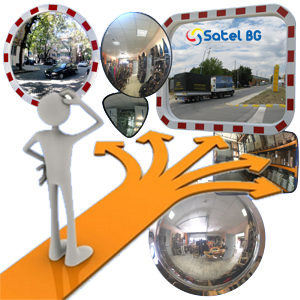 In 1998 we increased the range of our products with mirrors in plastic frames and metallisation of advertising and convex mirrors. Using the rich experience in vacuum coating and vacuum thermoforming, we have focused on the production of convex mirrors and their accessories since 2000.